Lyndsey McKeown is a Registered Social Worker with the Ontario College of Social Workers and Social Service Workers (OCSWSSW), and holds a Bachelor of Social Work and Masters of Social Work degree. She has over 10 years experience working in the mental health and trauma field, working in areas of Early Psychosis Intervention, Interpersonal Trauma, Group Therapy for Child Sexual Abuse for Adults and Active Military Mental Health Services – Psychosocial and General Mental Health. 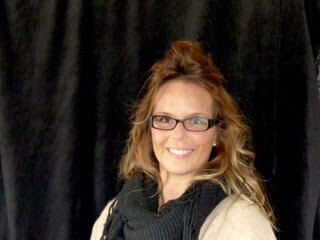 Lyndsey has expertise in childhood trauma and operational stress injuries with military and first responders. She integrates the use of several evidence-based frameworks in her practice, including Dialectical Behaviour Skills Therapy, Cognitive Processing Therapy, Cognitive Behavioural Therapy, Attachment-Based Therapy and Mindfulness. Lyndsey is also trained in Equine Facilitated Therapy (EFT). Facilitated Equine Experiential Learning (FEEL) is designed to support a therapeutic and learning experience that will enable you to learn about yourself and facilitate personal growth. It offers engaging and dynamic activities to promote insights and self awareness with you and your horse partner that will motivate and enable you to believe in your strengths and abilities to catalyze change. Sessions with a horse focus on the relationship between you and the horse as the sacred healing place. Horse activities are completed on the ground and do not require horse experience. "I truly believe in the alternative based healing that horses provide which is achieved through the creation of a sacred and supportive space that is heart-centered and soul led with the horse playing the role of an integral partner in this process. Horses offer humans a sense of strength, freedom, vitality and compassion. I have seen and received the teachings and transformations horses can offer and hope to share this with you. Come experience this journey with a horse teacher, and embrace a new way of being. Radiate your brilliance and stand in your shining!" Outside of my work I enjoy spending time with my horses, the farm and reconnecting with nature as my healing and quiet time!"